Spend your upcoming North Myrtle Beach vacation at Crescent Dunes and take advantage of everything we have to offer. When you and your guests first arrive, you can use our handy elevator to help transport your vacation gear up to your private vacation condominium. When you first open the doors to this lovely condomium you will be delighted at the gorgeous ocean views that greet you from the sliding glass doors leading out to your private furnished balcony. Stop for a moment and check out the full kitchen provided at your North Myrtle Beach vacation rental. How wonderful it will be to have a refrigerator and stove while in North Myrtle Beach—whenever you travel with a group someone is always bound to be hungry and you can have snacks and drinks easily available for them! Check out the soft beds, nicely appointed bathrooms and comfy furnishings that your North Myrtle Beach condo rental provides and, what else? You discover that this North Myrtle Beach condo has its own washing machine and clothes dryer—what a relief not to have to go searching for a laundromat while on your North Myrtle Beach vacation! This North Myrtle Beach rental even offers you and your guests wireless Internet access—so checking out all of the nearby North Myrtle Beach attractions, making dinner reservations or getting a tee time will be easy for you and your guests. After you have done the tour, open the sliding glass doors and head out to the balcony and take a deep breath of refreshing ocean air. Look for miles up and down the South Carolina coastline—see all those people swimming, shelling and tanning? In a few moments that will be you! Next thing you know, you and your guests will be digging through suitcases and throwing on your bathing suits and flip-flops, but before heading to the beach, why not stop by the private oceanfront pool deck and try out the comfy lounge chairs. As you gaze at the rippling blue water of the gorgeous swimming pool it may be difficult for you to move—how relaxing! You might want to take time for a quick dip or some laps in the pool, but the roar of the waves will soon lure you down a short path to the beach. Stick your toes in the warm sand and sigh—this is what you have been dreaming of! Time will fly by as you meander along the Atlantic Ocean looking for seashells as the waves roll in over your feet. The kids can enjoy some beach volleyball or Frisbee while you get settled in to your beach chair with a good book and grab a beer from your cooler. Keep an eye out for parasailers flying high over the water—does this look like fun to you? Why not try it for yourself? The colorful boats sailing by might encourage you to go boating, join a fishing charter or reserve a spot on a romantic ocean dinner cruise. Speaking of dinner, why not head back up to Crescent Dunes and throw some steaks on the charcoal grill and dine outdoors with your guests at the picnic area in your bathing suits? Feeling relaxed already? If you and your guests decide instead to get cleaned up and head out, you might have a difficult time choosing from the huge number of wonderful restaurants that are just around the corner from the vacation rentals at Crescent Dunes. This North Myrtle Beach resort is centrally located close to all of the North Myrtle Beach excitement and attractions, so exploring your options will be easy. Perhaps eating with pirates at a North Myrtle Beach dinner theatre sounds interesting, or how about an all-you-can-eat seafood buffet? There also lots of great restaurants, shops and attractions at Broadway at the Beach, Murrells Inlet MarshWalk and Barefoot Landing—how are you ever going to decide? You will find after dinner decisions to be just as challenging. You and your guests can choose to see a live concert, ride the Myrtle Beach SkyWheel, do some bargain shopping at an outlet mall, play some putt-putt, wander through Brookgreen Gardens, visit Ripley’s Aquarium, go to a comedy club or ride go-karts. The kids might like a magic show, jungle cruise, amusement rides or Segway tour of North Myrtle Beach. Hiking and biking trails, antique stores, art galleries, historical sites, zoos, sporting events and more are all part of the North Myrtle Beach, South Carolina vacation experience that you will not want to miss! Come to Crescent Dunes for your North Myrtle Beach, South Carolina vacation and see all that we have to offer. 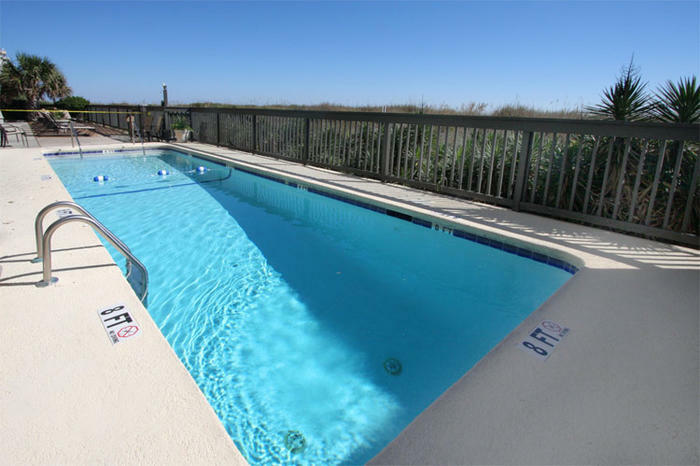 Top-of –the-line vacation rentals, wonderful amenities, beach and swimming pool fun, and a great location close to all of the North Myrtle Beach attractions and amusements makes us the ideal destination for your upcoming North Myrtle Beach vacation!